All three themes could technically be used for any type of a site, in any sector – delivering any message, as long as you’re OK with making some visual changes. Having said that, we tried to implement and find the most suitable blogging area to fit each of these themes individually. Please refer to individual theme section for more information. Noblia is a smart, eye-catching and well-thought-out theme that will suit bloggers of any profession. It can work particularly well for someone who is planning to create a blog about fashion, lifestyle or travelling. 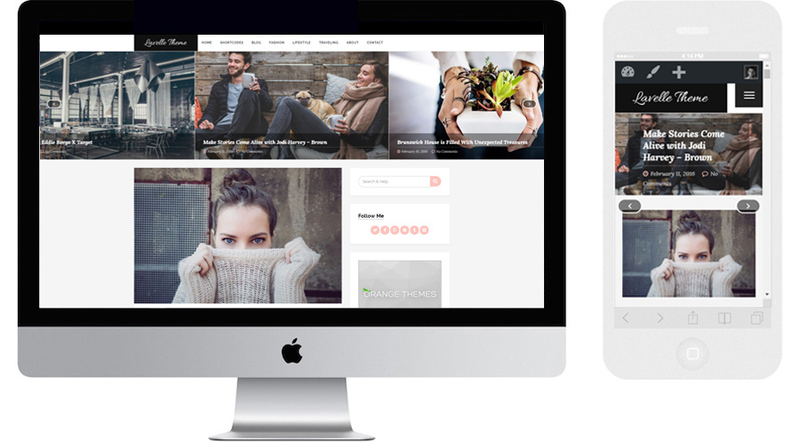 The slider on the home page adds a very smart and professional look making this theme a perfect choice for anyone who loves photography, or simply image rich content sites. On top of that, this theme allows you to use FREE ”WP Instagram Widget” in full width in the footer giving the theme a very active, personalized and tacky look. If you want to stand out in the blogging crowd online then I doubt that you will find a better FREE theme in this category. Plugins that we’re using on the Demo site include: Orange Themes Custom Widgets, Mashshare Share Button. 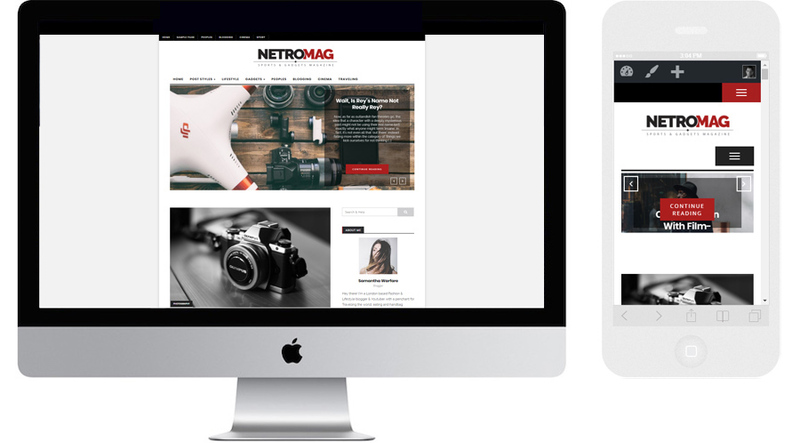 NetroMag was designed with one aim only – to deliver responsive, elegant and slick looking FREE WordPress theme for gadget and tech admirers. This is a light weight theme which will work well in conjunction with all the caching and speed optimization plugins. Its flexibility will let you personalize your blog throughout the side-bar and footer area, allowing you to create something very cool and stylish with an ease. All in all, NetroMag really is a simple, yet effective theme which makes it a great choice for all user categories. If you’re fed up with changing themes every two years, then this type of a layout and functionality is everything you need. Nothing unnecessary, nothing that would cause your website to slow down or break the responsiveness, this is what this theme is all about. Plugins that we’re using on the Demo site are as follows: Orange Themes Custom Widgets and Easy Bootstrap Shortcode. Lavelle is very smart and classy looking theme with a small feminine touch. We like this theme so much that we had to think twice before giving it away for FREE, so hopefully you’ll appreciate it. 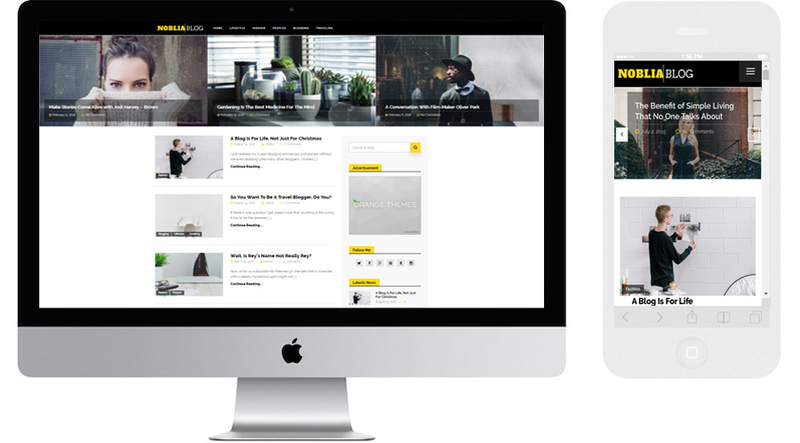 Fashion as we hear is all about blending in or standing out – depending on the reach and situation, and this is exactly what we wanted to deliver with this WordPress theme. This theme delivers a few things with a blink of an eye. Professionalism, trustworthiness and style! Slider images can be easily added or changed through the theme customization settings and many more plugins can be installed to complement what we like to call an astonishing look of the theme. P.S. we kept it simple and only used the same plugins that have already been mentioned in the other two theme descriptions, so nothing new to that respect. More detailed information about all three themes will be created later in the month. For now, if you do like any of the themes, feel free to download them from the links on this very same page.